The Salvation Army is seeing brighter days thanks to donations from one organization. The Alpena Exchange Club raised over $2,000 for the Red Kettle Christmas Fundraiser. The Salvation Army is still trying to reach its $170,000 goal. 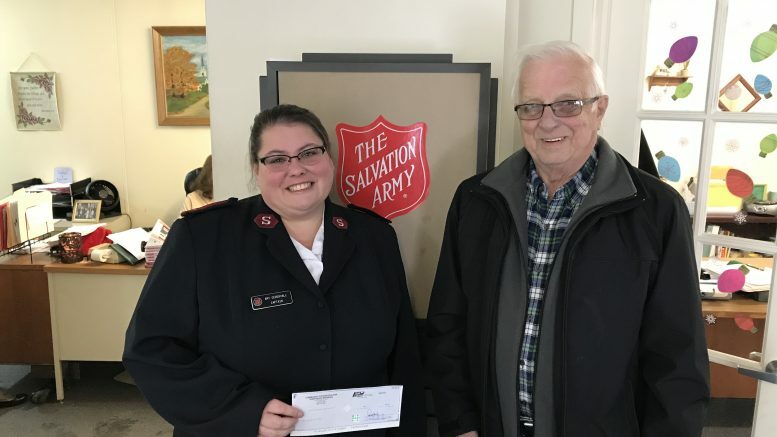 Exchange member, Gary Rondeau delivered another check for $500 to the help the non-profit continue to work on that campaign for the month of January. If you would like to help the Salvation Army continue to reach their goal contact Captain Amy Cedervall at 989–358–2769.